RIGAUD DE VAUDREUIL, PHILIPPE DE, Marquis de Vaudreuil, musketeer, commander of the troops, naval captain, governor of Montreal, governor general of New France, governor of Revel in Languedoc; knight, commander, and grand cross of the order of Saint-Louis; baptized 13 Aug. 1650 at Dreuilhe, France; m. 21 Nov. 1690 Louise-Elizabeth de Joybert at Quebec; d. in Quebec, 10 Oct. 1725. The Rigauds were an old noble family of the province of Languedoc. The fief of Vaudreuille from which they derived their title was located in the seneschalsy of Lauragais near Toulouse and had come into their possession by marriage in the 12th century. By the late Middle Ages they appear to have enjoyed both wealth and prestige, but as their numerous domains were gradually alienated they receded into the ranks of the provincial nobility. 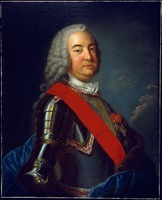 Philippe’s father Jean-Louis de Rigaud held the minor rank of cornet in the French army and was also the commandant of the arrière-ban of his seneschalsy. Nothing is known of his wife, Marie de Chateauverdun, except that she was of noble birth. Five daughters and five sons were born of their marriage. 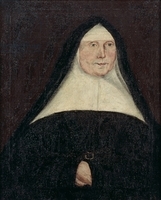 Anne, the fourth girl, married Pierre Adhémar de Lantagnac and their grandson, Gaspard*, served in the troops in Canada and Île Royale (Cape Breton Island). Two of the five brothers, Antoine and François-Aimé, entered the church, and the other three, Arnaud the eldest, Philippe I, and the youngest Philippe, joined the army. 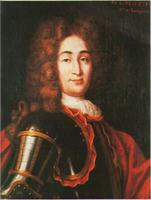 Arnaud became captain of a company of the king’s light horse in 1668. Philippe I began his career with the Musketeers and ultimately rose to the rank of captain with the French guards. Philippe also joined the Musketeers in 1672 and served with them during the next 15 years. The Musketeers were one of the élite corps of the French army. They were divided into two companies of 500 men, all noblemen or soldiers of proven merit, and were attached to the royal household. Each company was commanded by a lieutenant-captain. The rank of captain was held by the king himself, a signal honour of which the Musketeers showed themselves worthy recipients by their gallantry in battle. War with Holland was just breaking out when Vaudreuil joined their ranks in 1672 and the two companies were sent to Flanders where they were involved in several major engagements in the years that followed. On these occasions Vaudreuil appears to have fought bravely and at times with distinction. According to the historian Charlevoix* it was the role he played in the attack on Valenciennes in 1677 that won him the king’s favour. Nœufville, the 18th-century historian of the French army, mentions the courage displayed by “Monsieur le chevalier de Vaubreuil [sic] mousquetaire” at Ypres in 1678. Following the Dutch war, Vaudreuil served for some time in Germany as aide-de-camp. Thus, by the time he left for Canada, he was a tested veteran of several European campaigns. Except for these details about his military career, nothing else is known about Vaudreuil’s years in France but certain inferences can be made about them from subsequent evidence. His schooling, for instance, must have been quite rudimentary. Only five books – including a book of devotions and the Adventures of Robinson Crusoe – were listed in the inventory of his belongings that was made following his death. In 1709 the intendant, Jacques Raudot, described him as a military man who had studied little and who was ignorant of all subjects except military ones. It is true that Vaudreuil always remained primarily a soldier and that he tended to judge men and situations in military terms. He respected and feared the Iroquois and to a lesser degree the other Indian tribes; but he sometimes gives the impression of having contempt for the inhabitants of the English colonies, particularly those of New England whose attack on Quebec in 1690 had failed so completely. The decision to emigrate to Canada came in 1687. Despite the fact that the Vaudreuil estate was sizable Philippe himself was poor, for by virtue of the law of primogeniture the family fortune had been inherited by Arnaud, the eldest son. Without money prospects of advancement in the French army were dim, for all commissions above that of lieutenant had to be bought, usually for large sums of money. Indeed, from the fragmentary evidence that is available on the history of the family in the late 17th century, it appears that Philippe I had to seduce Arnaud’s wife, Antoinette de Colombet, to obtain the 78,000 livres that he required to purchase his captaincy in the guards. As for Philippe, rather than spend the rest of his life as a minor officer, he accepted an appointment as commander of the troops in Canada. His duties consisted of drilling and maintaining in discipline the several companies of soldiers that were being sent to the colony to fight the Iroquois. But already the government considered that he qualified for a higher position. 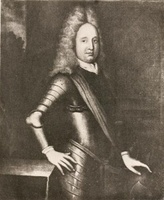 In March 1687, Governor Brisay de Denonville was instructed to appoint either Vaudreuil or Louis-Hector de Callière, the governor of Montreal, to command in the colony in his own absence. These instructions indicate a degree of confidence in Vaudreuil that was somewhat premature at this stage of his career. His years in France had been spent as a subordinate officer and it soon became evident that he was not qualified to step immediately into positions of high responsibility. 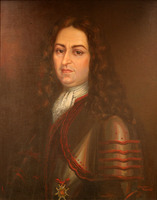 He was acting governor of Montreal in 1689 when the massacre of Lachine occurred and his errors of judgement on this occasion were at least partly responsible for the disaster. There being a lull in hostilities, he had allowed the population of the outlying settlements to return to their isolated homesteads instead of obliging them to remain close to the forts for protection. In the hours that followed the raid his literal interpretation of Denonville’s orders to remain on the defensive cost him two excellent opportunities to counterattack the Iroquois and to inflict heavy casualties on them. When acting in a purely military capacity, however, the role that he knew best, Vaudreuil showed that he was a brave and capable soldier. He led several expeditions against the Iroquois in the 1690s and twice, at Repentigny and at the Long Sault, decisively defeated their war parties. His superiors without exception were greatly impressed by his zeal and his devotion to his duties. 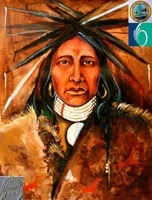 Frontenac [Buade*] praised his “incredible diligence” during the great campaign of 1696 against the Iroquois. 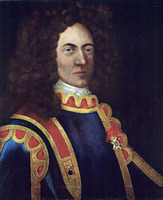 The intendant, Bochart de Champigny, for his part described the commander of the troops as “a gentleman of distinction and merit.” In 1698 the court, too, recognized in signal fashion Vaudreuil’s distinguished services during the Iroquois war by granting him the cross of Saint-Louis, one of France’s most coveted military decorations. 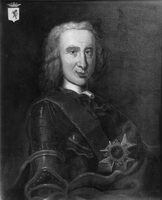 Encouraged by these indications that he stood in high favour in both the mother country and the colony, the chevalier decided to apply for the position of governor general when Frontenac died on 28 Nov. 1698. In a letter to Jérôme de Pontchartrain, the minister of Marine, which was not very elegant in its handwriting and spelling, he described his record, gave the names of several officers under whom he had served in France as references, and asked for the appointment. His request was taken overseas by Amiot de Vincelotte, who was urged to make speed, but it was already too late when he reached Versailles. 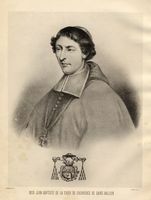 Augustin Le Gardeur de Courtemanche, the envoy of Callière on a similar mission, had preceded him and delivered his dispatches to François de Callières, a diplomat of note and one of the king’s private secretaries. The latter was able to see Louis XIV and to obtain the appointment for his brother before Pontchartrain could present Vaudreuil’s request. As a consolation, the commander of the troops was named governor of Montreal. He served in this capacity conscientiously for the next four years and gained the administrative experience which he lacked. When Callière died on 26 May 1703, Vaudreuil immediately applied for the vacant position. This time, however, he did not merely state his request in a letter of application. During the previous months he had rallied several supporters to his cause, and these people now came forward to speak on his behalf. Among his most enthusiastic partisans were the Sulpician seigneurs of Montreal who had been greatly impressed by the steps he had taken to have the sale of liquor to the Indians prohibited in 1702. 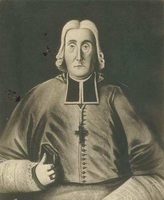 Abbé Lechassier, superior of the seminary of Saint-Sulpice in Paris, warmly recommended Vaudreuil to Pontchartrain and also asked the cardinal-archbishop of Paris, Louis-Antoine de Noailles, to mention the chevalier’s application to his brother, Anne-Jules, Duc de Noailles and a marshal of France, who wielded great influence in court circles. Ultimately, however, it was Pontchartrain who won the governorship for Vaudreuil by recommending him to Louis XIV as a man who not only would maintain order in the colony but also would eliminate the abuses which had crept into the administration under previous governors. Basically, the appointment was a good one. By his exploits during the war with the Iroquois, Vaudreuil had won the respect and confidence of the Indians, in whose eyes courage was one of the supreme virtues. The people of New France too were happy with the nomination, for the new governor was a popular and well-liked figure in the colony. As commander of the troops and as governor of Montreal he had been both firm and gentle in his command and had also shown his concern for the sick and the poor. 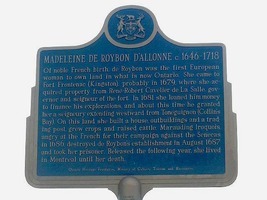 Moreover, unlike his predecessors, he was married to a second-generation Canadian, Louise-Elizabeth de Joybert, and was gradually acquiring roots in Canada. 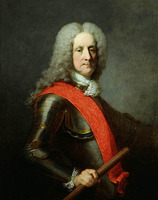 Indeed, Louis XIV had considered that these Canadian connections might make it difficult for him to rule impartially and for this reason had hesitated before naming him as Callière’s successor. As a person, Vaudreuil was reserved and cautious, but he tended to become more assertive as the years went by and as he gained in confidence. 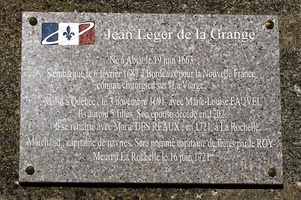 Although his intelligence was no better than average and his education limited, he had a clear and orderly mind, 16 years of experience in Canadian affairs, and such able lieutenants as Charles Le Moyne de Longueuil, Chabert de Joncaire, and La Porte de Louvigny to turn to for advice. In brief, he was a man who could provide the colony with sound if unspectacular government. 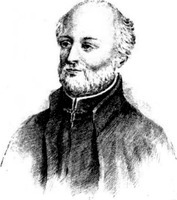 Vaudreuil became governor at a difficult moment in the history of New France. Since 1702 a state of war had existed with the English colonies to the south as a result of the outbreak of the War of the Spanish Succession in Europe. This conflict, the greatest of Louis XIV’s reign, was taxing France’s financial resources to the utmost and leaving little to spare for North America, which French strategists regarded as remote and unimportant. To complicate the situation further the beaver trade had collapsed as a result of many years of reckless overtrading with the Indians, and this had struck a damaging blow to the entire system of native alliances. Now that the French connection had ceased to be economically lucrative, the Indian allies might well grow cool towards New France and refuse to extend military assistance to the colony in case of war. Faced with these uncertainties, Vaudreuil was obviously in no position to engage in a major conflict. Fortunately, the external threat was not as great as it had been during Frontenac’s second administration. The Iroquois, traditionally the most fearsome enemies of New France, had concluded peace with the French and their allies in 1701. Vaudreuil understood that this treaty protected the most vulnerable parts of the colony from attack and he therefore made its preservation the central part of his wartime policy. This meant that he had to refrain from sending military expeditions against New York, for these would have offended the Five Nations and invited retaliation. The New York authorities for their part gladly entered into this arrangement which spared them the hardships of war and until 1708 they too abstained from committing any hostile act against New France. No less satisfied were the Montreal fur-traders who had been hard hit by the unfavourable market conditions prevailing in France. The truce with New York enabled them to send most of their beaver pelts to Albany via the contraband route. Meantime the Abenakis and the mission Indians, led by Canadian officers and militiamen, were conducting a series of border raids against the settlements of New England. The purpose of this “little war” was not to inflict a defeat on Massachusetts Bay. It was rather a tactic devised by Vaudreuil to safeguard the alliance with these Indians. He feared that a climate of peace along the eastern frontier would enable the English to win over the Abenakis and perhaps eventually to turn them against the French. The existence of a state of war in that area, on the other hand, obviously made the conclusion of such an alliance impossible, As for the Iroquois domiciled in the Canadian missions, they frequently travelled to Albany to trade with the English and to visit with their kinsmen, and their loyalty to New France suffered during those journeys. Sending them on expeditions against New England was a way for Vaudreuil to reassert his authority over them and to make the Canadian connection profitable, in spite of the depressed beaver trade, by enabling the Indians to gather booty to satisfy their needs. By means of these tactics the alliance with the Abenakis and the mission Iroquois was maintained, but the cruelties of the “little war” so exasperated the New Englanders that they decided to attempt the conquest of New France. Vaudreuil, who had regarded them as incompetent soldiers, had been oblivious of this danger; but the former intendant, Champigny, who was assisting Pontchartrain by commenting on the Canadian dispatches, had strongly advised against provoking Massachusetts Bay. He feared not only that this colony would counter-attack but also that it would oblige New York and the Iroquois to break their truce with New France and to join in the war. This is what happened in 1708. In response to the appeals of the long-suffering New Englanders, Great Britain agreed to send several warships to North America to join the colonial fleet for an attack on Quebec. At the same time a new governor was sent to New York to mobilize the militia and to rally the Iroquois for an attack on Montreal. By 1709, everything stood in readiness for an invasion of Canada by land and sea. Vaudreuil, who dreaded nothing more than a third Iroquois war, was far more alarmed by the threatening attitude of the Five Nations than by that of the English, and his fears were greatly increased by the uncertain loyalty of the western allies. In the previous war, the Ottawas and Miamis had inflicted heavy losses on the Five Nations by their repeated attacks on their western flank and had greatly contributed to the final victory of the French. But by 1709 they no longer had compelling reasons to make war on the Iroquois. For the past eight years the latter had allowed them to travel to Albany to barter their furs. By means of this important economic concession, which they had stubbornly refused to make in the 17th century, the Iroquois were hoping to pacify their old enemies permanently and perhaps even to win them to their side in order to isolate New France militarily and commercially. The governor understood the purpose of the strategy but he found it difficult to devise countermeasures, for unlike his predecessors he did not possess effective tools to deal with the western tribes. The alliance with them had been weakened economically by the collapse of the beaver trade and politically by the edict of 1696 which had abolished the 25 fur-trading licences (congés) and obliged the garrisons and commanding officers to withdraw from the principal western posts. The purpose of this legislation had been to cut off the fur trade at its source to accelerate the recovery of the market, but it had also had the unfortunate effect of removing from the interior the most important agents of French influence among the Indian tribes. The situation in the west had been further complicated by the foundation of Detroit in 1701 by Lamothe Cadillac [Laumet]. This former commandant of Michilimackinac had assured Pontchartrain that, by the establishment of a post on the southern portion of the Great Lakes, where a large white population would settle and where the principal western tribes would regroup, it would be possible to prevent westward expansion of the English and to overawe the Iroquois. Soon after its founding, however, Detroit began to produce results quite different from those predicted by Cadillac. In the first place, it drew the western Indians close to the Iroquois and facilitated the growth of trade relations between them, the very thing which had to be avoided if the alliance between New France and the tribes of the interior was to be maintained. Secondly, it proved impossible for such dissimilar nations as the Hurons, Miamis, and Ottawas, who had moved to Detroit in response to Cadillac’s invitation, to live in close proximity to one another and remain at peace. Between 1706 and 1708 these Indians came to blows and seriously threatened the continuation of peace in the west. With unreliable allies and insufficient soldiers, Vaudreuil did his best to put the colony in a state of defence. In the district of Montreal he urged the mission Indians to stand firmly by the French, in spite of the governor of New York who was threatening them with dire consequences if they opposed the progress of the invading army. 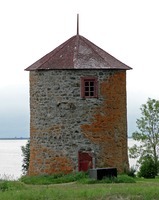 In Quebec, while the engineer Jacques Levasseur de Neré worked feverishly to strengthen the fortifications, the governor visited the outlying settlements, reviewed the militia, examined their weapons and spoke encouraging words to the population. In the villages of the Five Nations, meantime, his agents warned the Iroquois that they would expose themselves to the attacks of the western Indians if they violated the treaty of 1701. This threat still carried much weight, for the Iroquois’ policy of conciliation had not yet completely overcome the old animosities of the French allies towards them, bred by a century of war. Ultimately, however, what saved the colony was the misfortune that dogged the English at every step. The operations planned for 1709 had to be postponed, when the ships promised by England failed to arrive. The invasion plans of 1711 also came to naught when Sir Hovenden Walker’s mighty fleet turned back after losing eight vessels in the fogs and high winds of the lower St Lawrence. This development prevented the land army and the 682 Iroquois assembled near Albany from advancing on Montreal. Thus the great onslaught which could have resulted in the conquest of New France did not materialize and the colony emerged from a long war without having suffered a single attack by the English or by the Iroquois. This fact alone so impressed the court that it granted Vaudreuil the rank of commander of the order of Saint-Louis, an honour not undeserved, even if the English failure was ultimately caused by factors that were not of his making. He had carefully refrained from raising his hand against the Iroquois, in spite of their two desertions to the English, and, thus, had made possible in 1712 a reconfirmation of the treaty of 1701. Under extremely difficult conditions he had managed to preserve intact the colony’s network of native alliances. This was demonstrated in 1711 when between 400 and 500 western Indians arrived in Montreal and pledged their support to New France against the English. None the less, all was not well with these allies. Without holders of fur-trading licences and soldiers to act as peacemakers in the west, quarrels and skirmishes were frequently breaking out among these undisciplined tribes. By his skilful mediation of their differences Vaudreuil managed to maintain order; but disaster finally struck in 1712. 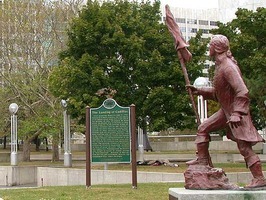 The Fox and Mascouten Indians, perennial trouble-makers in the Great Lakes country, were attacked at Detroit by several other tribes assisted by the French garrison and a full-scale Indian war broke out. Faced with this emergency the governor decided that any further delay in reoccupying strategic points in the west would leave the Indians free to wage a war of mutual extermination. Without waiting for Pontchartrain’s authorization to arrive he sent a group of men under Le Marchand de Lignery to reoccupy Michilimackinac and delegations under Jean-Baptiste Bissot de Vinsenne and de Liette to contain the Miamis and Illinois. These measures constituted an important departure from the policy set down in the edict of 1696 and prepared the way for a period of renewed expansion. Other problems had added to the difficulties experienced by Vaudreuil during this troubled decade. He had become governor when Cadillac was at the height of his power and was enjoying the support of such leading Canadian notables as Claude de Ramezay, the governor of Montreal, and the formidable Ruette d’Auteuil, the attorney general of the Conseil Supérieur. As soon as Vaudreuil showed that he was opposed to Detroit this powerful group turned against him and denounced his conduct in their letters to the minister. D’Auteuil imputed the governor’s hostility towards the founder of Detroit to his “extreme displeasure to see placed in a post that might interfere with his trade a man who was put there by someone other than himself and on whom he could not count for support in his greedy designs.” In spite of Vaudreuil’s vigorous defence and counter-accusations Pontchartrain had become so ill disposed towards him by 1706 that he threatened him with demotion from his post. But just as victory appeared within the grasp of the governor’s enemies the tide turned. In 1707, the naval commissary François Clairambault d’Aigremont was instructed by Pontchartrain to investigate and report on conditions in the northwest. In his report submitted the following year d’Aigremont exposed Cadillac as a profiteer and his western system as a menace to French control of the Great Lakes country. Following this there was little left for the minister to do except to remove Cadillac from the Canadian scene and to grant Vaudreuil full control of the west. Thus the governor emerged victorious from a crisis which had nearly cost him his political career. No sooner had these clouds been dispelled than Vaudreuil became involved in another quarrel, this time with the intendants Jacques Raudot and his son Antoine-Denis. Differences in background made some friction between the three administrators inevitable. Whereas Vaudreuil belonged to the nobility of the sword, the Raudots were members of the legal nobility of the robe and these two branches of the second estate disliked one another. To make matters worse the two intendants regarded Canadian society, to which the governor and his wife were united by so many bonds, with a mixture of superiority and contempt. Even so, harmony might have been preserved had it not been for the humourless and choleric temper of the elder Raudot. He had been greatly offended in the spring of 1708 when satirical songs written about him by persons of Vaudreuil’s entourage began to circulate in the streets of Quebec. In the fall his anger became a towering rage when the governor questioned his right to appoint the surgeon-major of the Hôtel-Dieu in Montreal. The following year the two intendants submitted long letters of complaint to Pontchartrain and once again Vaudreuil had to defend himself. This time, however, he did not reply in his dispatches to the charges made against him. Rather he sent his wife to France to present his case to the minister. This tactic paid rich dividends. Madame de Vaudreuil won the favour of Pontchartrain and used her influence to consolidate her husband’s position in Canada. With her help, Vaudreuil overcame the second and last great challenge to his position. When the Raudots were recalled at their own demand in 1710 he was firmly in charge of the situation. With the return of peace, Pontchartrain granted Vaudreuil permission to come to France on leave. Important changes in the government of the kingdom occurred during this voyage to his homeland. Louis XIV died on 1 Sept. 1715, and power passed to a council of regency headed by the Duc d’Orléans, which governed in the name of the young Louis XV. Shortly afterwards Pontchartrain and the other ministers were dismissed from office and replaced by a system of seven councils, the so-called polysinodie. That of the Marine, to whose care the colonies were entrusted, knew little about New France and was undoubtedly relieved to have a man of Vaudreuil’s experience to turn to for advice. The governor took advantage of this situation to recommend an energetic programme of colonial consolidation that would enable the colony to repair the damages it had suffered at the peace of Utrecht. The terms of this treaty had made the lands along the New England border and the Great Lakes and Mississippi Valley regions vulnerable to English expansion. By article 12, Acadia had been ceded to Great Britain “with its ancient boundaries.” According to the English view these embraced not only Nova Scotia but also present-day Maine, New Brunswick, and the Gaspé peninsula. By article 15, the Iroquois had been declared British subjects, a tactic that was meant to lay the legal groundwork for a thrust by New York towards the Great Lakes. The same clause had also stipulated that henceforth the subjects of both France and Great Britain would be allowed to trade with the western tribes. In the eyes of the merchants and senior administrators of New France, the English, with their superior merchandise, now appeared in a good position to gain control of the western fur trade and to win the allegiance of the Indians. Vaudreuil’s programme consisted of two principal points. In the first place the population of the colony should be increased by means of a large-scale civilian and military immigration movement. He was certain that the British would eventually renew their attempt to conquer New France, in which case a much larger population would be needed to resist the attack. Secondly, the alliances with the Indians should be tightened by reviving the 25 fur-trading licences, increasing the gift fund, legalizing a limited liquor trade and authorizing the governor to establish whatever posts he might judge to be necessary in the west. These measures would not only permit the colony to defend its frontiers and hinterland against English pressures but also enable it to reorganize its fur-trading empire, a step made necessary by the long-awaited recovery of the beaver trade in 1716. For these economic and political reasons the council of Marine allowed Vaudreuil to carry out his expansionist programme, but it did add one important proviso. Since France and Great Britain had recently become allies, he should strive to maintain friendly relations with the English colonies to the south. Until the joint commission on boundaries called for by the treaty of Utrecht met to lay down a definitive demarcation line between the French and English North American colonies, he was instructed to maintain possession “gently but nevertheless firmly” of the territories which had always been deemed to belong to France. Little did the council suspect that Vaudreuil’s policy of frontier defence would soon lead New France to the brink of war with New England and New York. 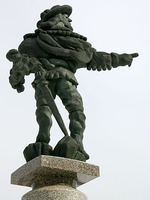 In October 1716, Vaudreuil landed at Quebec with a staff of 16 persons. His wife had stayed on in France to continue looking after his interests, but there must have been little left for her to do. All her sons now held commissions in the army and the navy in either Canada or France. As for the old governor, his position had never been so secure. Shortly before his return to Canada the regent himself granted him an interview and promised to look after his needs and those of his family. The council of Marine, for its part, considered him to be practically indispensable in North America. In 1717 it granted him a gratuity of 6,000 livres and in 1721 the grand cross of Saint-Louis, one of France’s highest honours. The days were clearly over when men like Cadillac, Ramezay, and d’Auteuil could criticize him with impunity for Vaudreuil was now a powerful figure whom it would have been extremely dangerous to offend. On those few occasions when he suffered minor irritations he showed himself hard and unforgiving. In 1720, for example, his grandnephew Gaspard Adhémar de Lantagnac married the daughter of a former tavern-keeper. Vaudreuil considered himself personally humiliated by this marriage and insisted that the newlyweds be deported to Île Royale. Nor did he ever forgive Bishop Saint-Vallier [La Croix] for having authorized this marriage without having first referred the matter to him. Although Vaudreuil now enjoyed considerable power and prestige he was not a wealthy man. During the War of the Spanish Succession he had suffered several major financial setbacks. In 1704 personal belongings valued at over 30,000 livres were lost when the store-ship Seine, en route to Canada, was captured by the English. After 1706, when the French financial system began to buckle under the war effort, his salary was paid irregularly – it was two years in arrears in 1716 – and at times in depreciated paper money. With his finances in this uncertain state the governor had to maintain a large household, entertain frequently, pay pensions to his sons in the armed forces, and support the costs of an endless lawsuit over the family properties in Languedoc. Except for Arnaud, who was childless, all of his brothers had died by 1700; unless therefore he succeeded in establishing his title to the barony of Vaudreuille it might pass out of family hands for the first time in 500 years. This he was determined to prevent. By 1708, he had succeeded in nullifying the claims to the estate of his sister-in-law, Antoinette de Colombet, and of several creditors. Then began another legal battle with the consuls of the town of Revel who were, he claimed, taxing the barony at an excessive rate. To strengthen his position in this quarrel he purchased the governorship of Revel for 10,000 livres in 1710, but it was only in 1724 that the question was settled to his satisfaction. After 25 years of effort Vaudreuil had finally achieved his goal. The ancient barony would not be lost by foreclosure or ruined by taxation. Its possession had been assured for future generations. In view of his need of money it is not surprising that the governor should have turned to the fur trade to supplement his income. His activities in this field, however, differed considerably from those of Frontenac in the preceding century. The latter had tried to develop a system that would have enabled him and a few partners to monopolize the bulk of the trade with the Indians. Vaudreuil, for his part, engaged in the fur trade on a modest scale before 1716. After that date, profiting from his influence at the court, he exploited two posts: Temiscaming, near the headwaters of the Ottawa, which he was granted in 1717, and Île aux Tourtres, which formed part of his seigneury at the juncture of the Ottawa and St Lawrence Rivers. From those two vantage points his agents carried on a considerable trade with Indians who would otherwise have taken their pelts to Montreal. The merchants of that city protested vigorously and Jean-Frédéric de Maurepas, minister of Marine after 1723, was finally obliged to order Vaudreuil to remove his men from these two posts. The governor grudgingly complied in the case of Île aux Tourtres but until the day of his death obstructed the efforts of the intendant, Michel Bégon*, who was attempting to carry out ministerial instructions relating to Temiscaming. In the meantime the reconstruction of New France’s trading empire was rapidly moving forward. The path for this was cleared in 1716 when a force of approximately 800 men commanded by Louvigny attacked the Fox Indians in their stronghold near Baie des Puants (Green Bay) and forced them to sue for peace. Immediately afterwards the governor issued orders to build a network of posts in the region of the western Great Lakes and the upper Mississippi Valley. He expected these establishments both to facilitate the preservation of peace among the Indian tribes and to increase French control over them at a time when the English were intensifying their pressures on the west. Furthermore, these posts would also play an important economic role. Those extending westward from Lake Superior would not only serve as a base for the discovery of the western sea, a project of interest to the council of Marine, but would also intercept the Indians en route to Hudson Bay, which had been ceded to the English by the treaty of Utrecht. The one at Baie des Puants would place New France in control of an important gateway to the far west and to new beaver breeding grounds. The Canadian merchants profited greatly from this reorganization and pacification of the interior and their indentured employees (engagés) left for the west in record-breaking numbers in the 1720s. The pro-Canadian manner in which Vaudreuil governed the western hinterland involved him in a quarrel with Louisiana. In 1717 the Illinois country had been annexed to Louisiana and its government afterwards considered that its jurisdiction extended northward along the entire Mississippi River as far as Lake Winnipeg. Vaudreuil maintained that the annexation had simply moved the northern frontier of Louisiana to the Illinois River and he warned its administration that traders who trespassed on Canadian territory would have their goods confiscated. The ill feeling caused by this situation increased considerably after 1721, when the Fox Indians renewed their war on the French. Louisiana suffered greatly from their raids and, jointly with Versailles, urged Vaudreuil to take measures to destroy the Foxes. But the governor of Canada was not prepared to follow such a course of action, for he feared nothing more than an Indian war that would plunge the west into turmoil, dislocate the fur trade, and force a withdrawal from the posts. Instead of declaring war on the Foxes he simply negotiated a treaty with them which won immunity for the Canadian traders and their native allies but which allowed the war on Louisiana to continue. To explain why the southern colony had not been included in the peace, he claimed that the Foxes had absolutely refused to suspend their attacks on the Illinois tribes, who lived on Louisiana territory. But this explanation did little to dispel the anger which the news of the treaty had provoked in New Orleans and Versailles. In both these places the impression grew that Canada was not only tolerating the Fox war but even arranging for it to continue in order to prevent Louisiana from sharing in the western fur trade. The greatest problem facing Vaudreuil after 1716, however, was to prevent English expansion in the region of the Great Lakes and along the eastern frontier. Soon after the treaty of Utrecht, Albany trading missions began to travel as far as Lake Ontario in order to open direct trade with the western allies of New France. 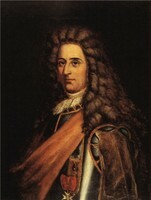 William Burnet, who became governor of New York in 1720, was determined to multiply and strengthen these commercial contacts with the Indians and eventually to destroy the French grip on the west. Meantime, New England land companies were introducing settlers on the territory east of Casco Bay and trying to win the Abenakis to their side by offering them the benefits of a lucrative trade. If their policy succeeded, New France’s eastern defences would collapse and the settlements on the south shore of the St Lawrence would be exposed to devastation in wartime. In the face of this double threat Vaudreuil’s task was clear. He had to prevent New York from establishing commercial links with the western tribes, which might eventually become a basis for a political alliance, and to contain New England west of Casco Bay, where Abenaki lands began. But to achieve these goals he had to control the Indian tribes, and the inability of the French economy to produce trade goods matching those of the English in quality and price placed him at a disadvantage in his dealings with the natives. Vaudreuil observed the situation in the west for three years before deciding upon a course of action. Then in the spring of 1720 he acted swiftly. His strategy consisted of driving a wedge between New York and the west by establishing three trading houses along Lake Ontario. The principal one overlooked the Niagara portage, the route used by almost all the Indians from the southwest as they made their way towards Canada or New York. The other two were located at Toronto and Quinté. This was a sound strategical move for it placed the French in a position where they could intercept the Indians before they reached the New York settlements. But it was also a dangerous procedure, for the new trading posts were located on the hunting grounds of the Iroquois which the English could claim as their protectorate under article 15 of the treaty of Utrecht. Vaudreuil knew, however, that New York would be unable to enforce this clause without the support of the Iroquois. For this reason his agent, Joncaire, had been careful to secure their consent before proceeding with the construction of the three buildings. Along the eastern frontier Vaudreuil gradually gained the upper hand in his struggle with Samuel Shute, the governor of Massachusetts Bay, for control of the Abenakis. Left to themselves these Indians, who had suffered great losses in past wars with New England, would probably have consented to the eastward extension of the English settlements. However, they soon succumbed to the pressure of Vaudreuil and the Jesuit missionaries who told them that the land east of Casco Bay was Indian territory and that they had to defend it against the English intruders. In 1718, the Abenakis began to destroy buildings recently put up by British settlers on the lower Kennebec. Two years later, New England opened peace negotiations with the Indians only to have them collapse as a result of Jesuit intervention. Shute finally had to recognize that the Indians could not be pacified by non-violent means and he declared war on them on 22 July 1722. 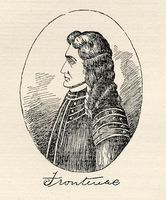 Vaudreuil, who was certain that the English would withdraw from the disputed territory rather than engage in a war with the Abenakis assisted by the French, would have liked to appear openly on the side of his native allies, but Versailles refused to place the Anglo-French alliance in jeopardy by allowing him to follow such a course of action. The governor, therefore, limited himself to extending secret assistance in arms and ammunition to the Abenakis and to encouraging the Indians from the Canadian missions to send war parties to their rescue. Along Lake Ontario, meantime, the situation had become critical. So great was the desire of the western Indians for English trade goods that they simply avoided the posts recently built by the French and continued to take a large percentage of their pelts to Albany and Schenectady. The expansionist policy followed by William Burnet made the threat to the commerce of New France still more acute. In 1724 the governor of New York decided to found a post at Oswego, on Lake Ontario, “where the chief trade with the Far Indians lies.” At a conference held in September the Iroquois authorized him to carry out his project. This marked the end of their middleman policy, which had long been moribund, and the substitution for it of a strategy of balance: by alternating concessions to the French and to the English, they hoped to prevent either side from becoming unduly powerful in their territory. For once, Vaudreuil failed to grasp the true nature of Iroquois intentions. He interpreted their support of the Oswego project as proof that they were now entirely in the English interest and might soon join forces with the latter to drive the French from Niagara. Since the wooden stockade might prove too weak to resist an attack, he decided to have it replaced by a stone fort. 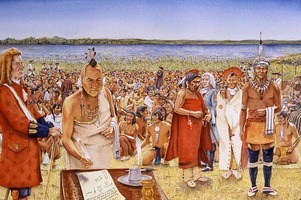 Longueuil was selected by him to present to the Iroquois the crucial request to make this change. As the aged Vaudreuil began his last year of life and his 23rd as governor of New France, near certainty existed in his mind that peaceful Anglo-French coexistence in North America was impossible. “This colony will always be the cause of jealousy on the part of the English,” he wrote prophetically to Maurepas in one of his last dispatches. “. . . we have no more dangerous enemy to fear.” The use of force had been necessary in the east to prevent New England from overrunning Abenaki lands and the use of force might soon prove to be necessary in the west to keep New York from winning over the Indian allies of New France. The stone fort planned for Niagara was Vaudreuil’s supreme hope – short of war – for checking this development. If the Iroquois refused to allow Longueuil to erect the fortifications the governor thought that the French would have no choice but to defend their western empire by force of arms and he pleaded with Maurepas for more soldiers, guns, and ammunition to place the colony and the western posts on a war footing. The Five Nations, however, consented to Longueuil’s demand but Vaudreuil probably never learned this. He died in Quebec on 10 Oct. 1725. Like Frontenac and Callière, he was buried in the church of the Recollets. Two years later his heart was taken to France and interred in the cemetery of Vaudreuille, near the remains of his ancestors. 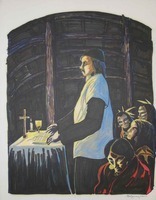 The people of New France mourned the death of their governor for they had regarded him with both esteem and affection. Canada had become his adopted country and in 1724 he had even referred to it as the “patrie” of his son Louis-Philippe*. During the War of the Spanish Succession he had maintained the alliance with the western tribes and preserved the peace with the dreaded Iroquois. After the treaty of Utrecht he had rebuilt New France’s western trading empire and made it possible for the Canadian merchants to profit from the fur trade. With the determination of a tough-minded old soldier he had defended the frontiers of the colony against English expansionism. The annalist of the Ursulines was undoubtedly thinking of all this when she wrote: “We had every reason to mourn him, for under his vigilant administration Canada enjoyed a prosperity unknown until that time. For 22 years the farmer, the businessman, and the soldier alike could only bless his name.” Here were the beginnings of a legend which would in no small way be responsible for the naming of another Vaudreuil [Pierre Rigaud*] as governor of New France in 1755. While working to improve his own fortunes the Marquis had not neglected to look after the careers of his six sons. The persistent efforts he and his wife made to secure their advancement in the king’s service were richly rewarded for all of them ultimately occupied important positions in the army, the navy and the colonies. The eldest, Louis-Philippe, chose to serve in the navy. As commander of the Intrépide he distinguished himself during an engagement with a British squadron in 1747. In 1753, he was promoted to the rank of lieutenant general of his majesty’s naval forces and three years later received the grand cross of Saint-Louis from the hands of the king. 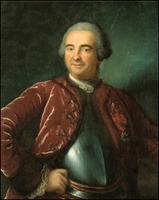 Philippe-Antoine, the second son, battalion commander in the king’s infantry regiment, was killed at the siege of Prague in 1742. Jean, the third son, joined the Musketeers in 1710, transferred to the French guards in 1712, and went on to win many honours on the battle-fields of Europe. He was named lieutenant general of the king’s armies in 1748 and received the grand cross of Saint-Louis in 1755. The next two sons, Pierre and François-Pierre*, made their careers in North America. The former became governor of Louisiana in 1742 and of Canada in 1755; the latter was named governor of Trois-Rivières in 1748 and of Montreal in 1757. 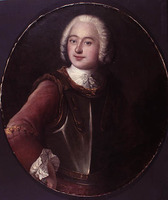 The youngest, Joseph-Hyacinthe*, joined the French guards as an ensign in 1723, but like his father before him found it difficult to win advancement in France. He therefore accepted the captaincy of a company of infantry in Saint-Domingue, which his mother obtained for him, in 1726. In 1753, he was named governor general of all the French part of the Île de Saint-Domingue. The eldest of the three daughters, Marie-Louise, married Gaspard de Villeneuve, a nobleman of Languedoc, in 1719. Marie-Josephe and Louise-Élisabeth, her two sisters, died in France, apparently unmarried. A great quantity of documentation on Vaudreuil’s public life, consisting mostly of the dispatches exchanged between the ministry of Marine and the colonial government, has been preserved in the Archives des Colonies and Archives de la Marine. See particularly AN, Col., B, C11A, C11E, C11G, C13A, D2C, and F3, and AN, Marine, B1 and C7. Scattered items are also to be found in AE, Archives du Séminaire de Saint-Sulpice (Paris), and ASQ. Vaudreuil’s correspondence with the ministry of Marine from 1703 to 1716 has been published in APQ Rapport, 1938–39, 12–180; 1939–40, 355–463; 1942–43, 399–443; 1946–47, 371–460 and 1947–48, 135–339. The documentation dealing with Vaudreuil’s pre-Canadian career and his personal life is quite sparse. The most significant items are in Archives de la Haute-Garonne (Toulouse), Series 2E 608 and 2E 654; AN, E, 819, and AN, Y, 234; AJQ; BN, MS, Clairambault 873 (which contains the only autograph letter by Vaudreuil which it has been possible to locate) and 1103, and NAF 890. The governor’s will and the inventory of his belongings have been published in APQ Rapport, 1920–21, opposite p.480; 1921–22, 238–61; and 1957–59, 341–55. Two old works contain valuable information: Simon Lamorel Le Pippre de Nœufville, Abrégé chronologique et historique de l’origine, du progrès et de l’état actuel de la maison du Roi et de toutes les troupes de France (3v., Liège, 1734) on the Musketeers; L.-P. d’Hozier, Armorial général de France (8v., Paris, 1736–68) for a detailed history of the Vaudreuil family from earliest times. Arch. Départementales de la Haute-Garonne (Toulouse et Saint-Gaudens, France), “État civil,” Dreuilhe, 13 août 1650: www.archives.cg31.fr/index.html (consulted 25 Feb. 2011). Bibliothèque et Arch. Nationales du Québec, Centre d’arch. de Québec, CE301-S1, 21 nov. 1690. 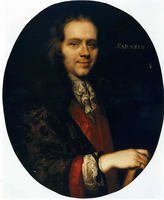 Yves F. Zoltvany, “RIGAUD DE VAUDREUIL, PHILIPPE DE, Marquis de Vaudreuil,” in Dictionary of Canadian Biography, vol. 2, University of Toronto/Université Laval, 2003–, accessed April 19, 2019, http://www.biographi.ca/en/bio/rigaud_de_vaudreuil_philippe_de_2E.html.